In the early 1900s technology was developed to separate the valuable minerals found in sand. The first European settlers on the Gold Coast were timber getters and farmers who would have found the sand on the beaches black or grey, particularly after storms. 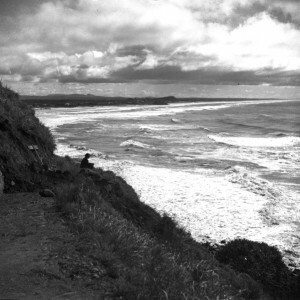 This black sand was very heavy and, in 1870 a number of residents started panning the sand for gold. 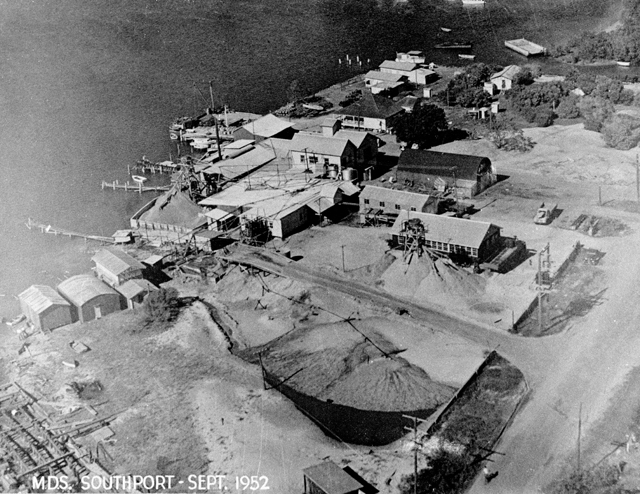 The mining of beach sand for gold went on for 20 years between Ballina and Southport. Later analysis of the sand found that it contained titanium ores including ilmenite and rutile, with zircon and traces of tin, platinum and monazite. In the early 1900s technology was developed to separate the minerals and produce ferro-titanium that was used to toughen steel. The American company Titanium Alloy Manufacturing Company (TAMCO) sent geologist D. H Newland to Australia. He visited the Gold Coast and reported that the area between Coffs Harbour and the Gold Coast was likely the world’s largest source of zircon. 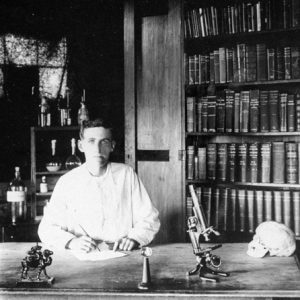 In 1919 Cecil Cumberland saw the potential of the black sand and developed a workable process to extract zircon. 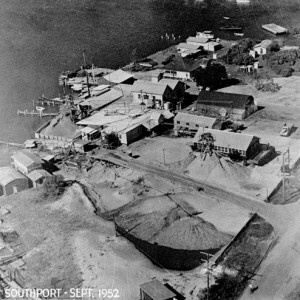 He established the company Zircon Rutile Ltd and by 1934 was exporting high grade zircon from his Byron Bay business. Other companies operating in the region included Metal Recoveries Ltd formed by Arthur Knowles and TAMCO. During his visit, D. H. Newland met Gold Coaster Alf Neumann who was caretaker for the idle plant of The Beach Sand Mining Company. 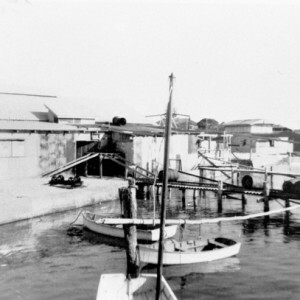 The Neumann family subsequently started operating a small plant at the mouth of Currumbin Creek with production commencing in 1941 and continuing to mine sand on the beaches until the 1980s. 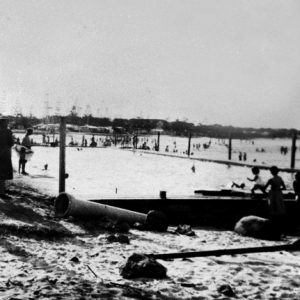 The Neumann family continue to mine sand further inland in Currumbin. 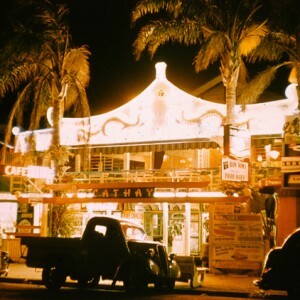 The Second World War brought a great demand for rutile and in 1940 Arthur Knowles, Scott Moffat and Bert Watson formed Mineral Deposits Syndicate to mine leases at Burleigh Beach and Tugun. 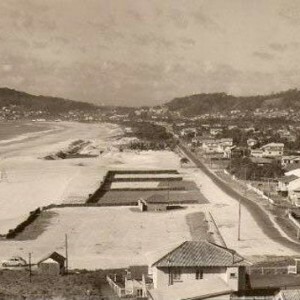 In 1942 they also began to mine Crown Land at Broadbeach. Ernst Leichert built a device that separated the rutile and ilmenite from zircon. 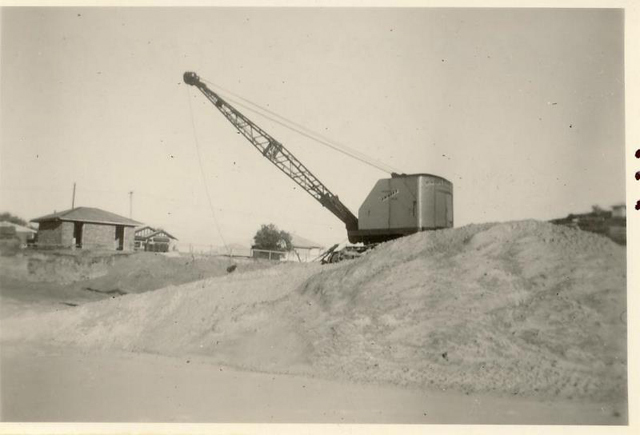 He joined Mineral Deposits and became renowned for his mineral sand separation equipment. 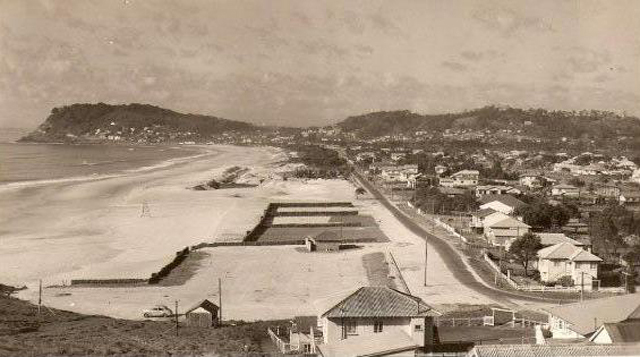 In the early 1950s many areas along the coastline of the Gold Coast were extensively mined for mineral sands including: Southport, Burleigh, Miami, Broadbeach, Bilinga and Coolangatta. Many of the coast’s seaside parks, the Southport Queens Park Sporting Complex, a number of southern housing estates and the Gold Coast Airport are on former mining leases. 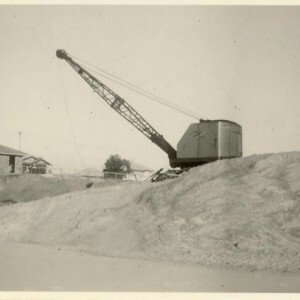 Sand mining was not universally popular and a number of articles appeared in the local paper asking that the sand mining cease and that the beaches be preserved. This resulted in the Mineral Deposits Syndicate withdrawing a mining application for the dunes and beaches between Broadbeach and Main Beach. It is thought that many of the roads created to access the beaches were formed by the necessity to access the sand for mining operations. Elliott, John. Southport – Surfers Paradise: an illustrated history to commemorate the Centenary of the Southport State School. 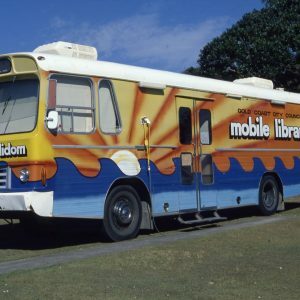 Southport: Gold Coast and Hinterland Historical Society Museum, 1980. Stewart, Doug. “Resort ‘grew’ after mining.” The Courier Mail, 8 Jul 1981, p. 11. Manuscript held in the Local Studies Collection LHM6009.